Some Nintendo games I remember liking the first time around. Others I didn’t appreciate until much, much later. Shadowgate definitely falls into the second category. It was utterly incomprehensible to my 9-year-old brain and didn’t make a lick of sense until almost ten years later when my friend and I committed to staying up as long as it took to finish it. 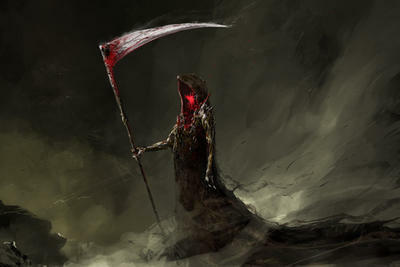 You could say I’m excited about the Kickstarter for the Shadowgate remake that started up over the weekend, but that would be a huge understatement. To call the game a remake might put some inaccurate images into your head. This isn’t simply an HD update or even a more involved modernizing like the Monkey Island games, but more a total overhaul. It’s closer to the difference between Evil Dead and Evil Dead 2: roughly the same premise, but more than enough differences to matter. 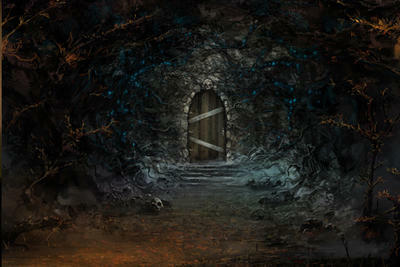 Shadowgate, coming to PC, Mac, and tablets, was originally announced this summer by Zojoi. The game will include animated, high resolution artwork, new rooms and new puzzles, as well as a fully-orchestrated version of the classic NES soundtrack (in addition to the original soundtrack). Last week, Polygon interviewed Zojoi co-founder David Marsh about the game and the Kickstarter, and fans of the original have a lot to be excited about. Talking about puzzles, Marsh told Polygon that a hint system is being considered; it originally appeared only in the NES version. It would be scaleable to the difficulty level. Some puzzles are being removed entirely if the developers have found them to be too straightforward to count as a puzzle or too random to have any discernible logic. Marsh also talked about torches, one of the crucial game mechanics of the original game. They act as a sort of timer for the game; you only last as long as your light holds out. Stumbling around a maze of a castle in pitch blackness is a quick way to a broken neck and Shadowgate didn’t pretend anything else. Finally, Marsh talked about stretch goals. Getting the base game right is important, but Marsh and the team would like to include cutscenes that would flesh out–pun intended–some of the game’s myriad deaths as well as the game’s backstory, which in the original was just a few lines of text. I don’t usually bother with many Kickstarters, but this grotesque, dark, and brutal puzzler is one of my favorites, and the appeal of seeing it again, fresh and new, with art like that pictured at the top, is undeniable.